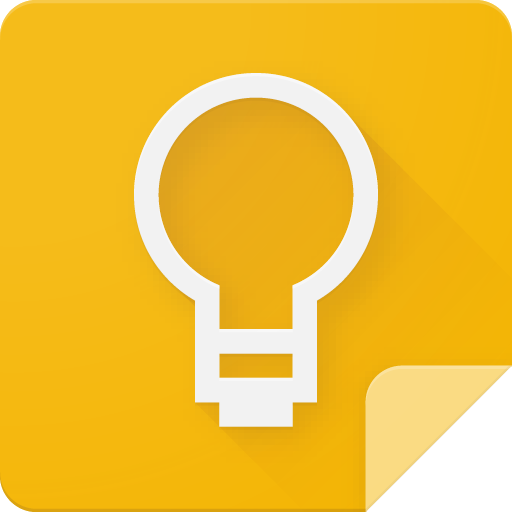 Google Keep was one of the first apps to add support for the Android Wear platform, giving users a quick, simple, and mostly effortless way to record short notes without reaching for a smartphone. 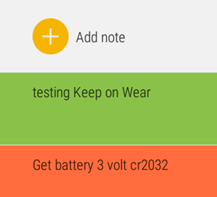 Since then, the main application has seen several updates, but the Wear-specific companion app has gone mostly unchanged. 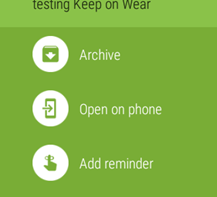 With the latest update, the tables have been turned, and it's time for the Wear app to go through a moderately sizeable refresh. In earlier versions of Keep's micro apk, the app only served as a target for voice commands and a way to browse existing notes. It was also possible to archive or open the note on the phone. This wasn't a terrible set of options, but it left plenty of room for improvement. With the latest update, the interface has been redesigned to fill out some of the gaps. 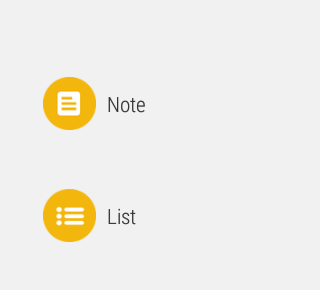 Now, when the app is launched, there is a prominent 'Add note' button at the very top of the list of notes. 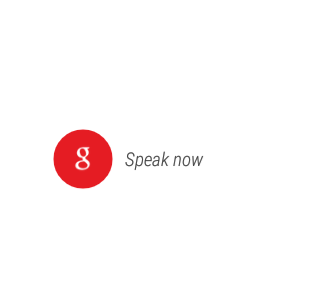 Tapping on this button prompts users to choose between creating a note or a list. Tapping either option opens to the normal voice-input screen. The other big change makes it possible to add a reminder to existing notes directly from Wear. 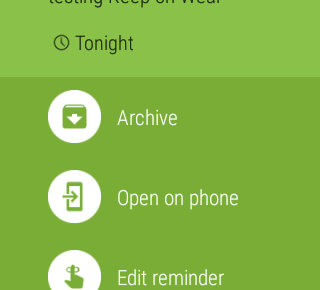 Just tap on a note and it will open up a new screen with the classic commands to Archive or Open on phone, along with a new option to Add reminder. 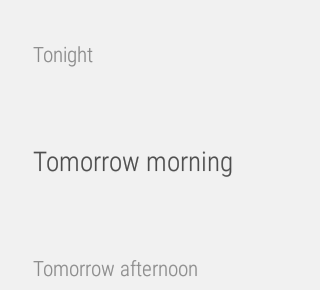 Users can set reminders for any vague category of time between "This evening" and "Tomorrow night," or remove the reminder entirely. 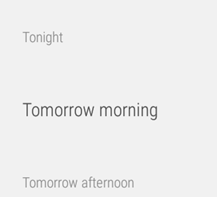 Opening a note that already has a reminder will show its time frame and allows for users to edit the setting as they see fit. Here is the full list of options. The changes aren't enormous, but they add some of the finer elements people might want in a wrist-bound note application.